What could repeal or reform of the Affordable Care Act mean for Americans? In its first semester in operation, the Jonathan M. Nelson Center for Entrepreneurship is building on the University’s tradition of entrepreneurship and making it an essential part of the Brown experience. PROVIDENCE, R.I. [Brown University] — Ten months after a $25 million gift jump-started plans to launch the Jonathan M. Nelson Center for Entrepreneurship at Brown University, the center’s doors are open, a staff is in place, courses are in progress, and a lineup of partnerships, initiatives and events is underway. And if the center’s early efforts — in less than one full semester in operation — offer any indication, it will serve as a far-reaching, state-of-the-art nexus for entrepreneurship education and practice that integrates and embeds entrepreneurship across the University’s fields of study, both inside the classroom and beyond. 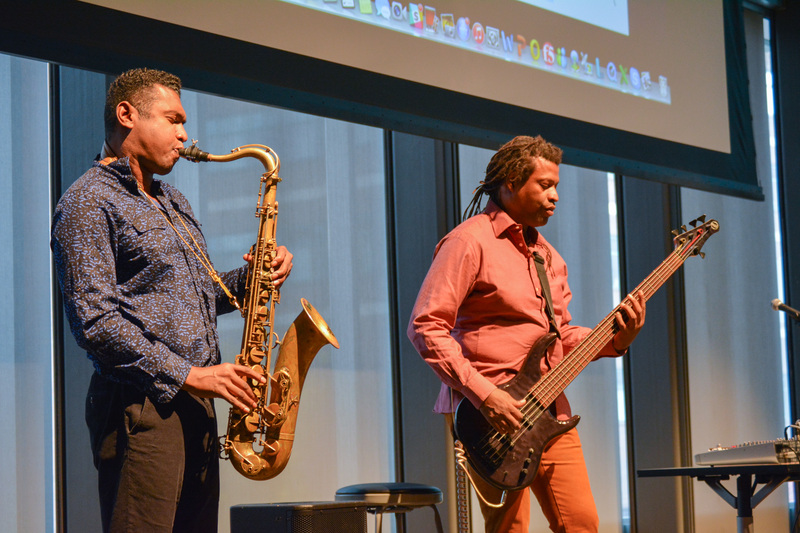 Already, the center has teamed with faculty in the arts to launch an Arts, Technology and Entrepreneurship event series. 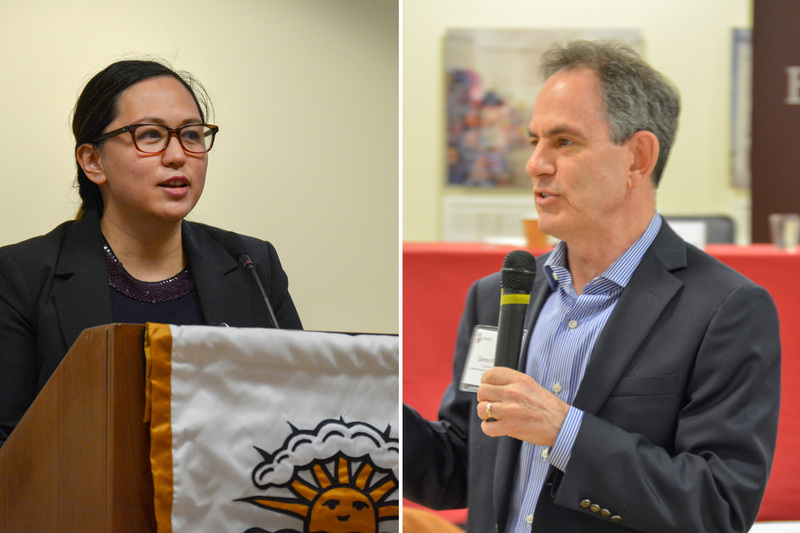 Staff and students are partnering with the University’s First-Generation College and Low-Income Student Center and the Brown Center for Students of Color to support their work with underrepresented entrepreneurs at Brown and across Rhode Island. To advise brain scientists, medical school students and public health experts on how entrepreneurship can solve problems, the center led workshops on “bottom-up” research. As part of an Entrepreneurship Month celebration in November, the center screened a documentary film titled “Generation Startup,” directed by a Brown alumna, and streamed a live post-film Q&A to 14 universities across America. Yesterday, it hosted a major academic conference on entrepreneurship at the intersection of diversity and inequality. 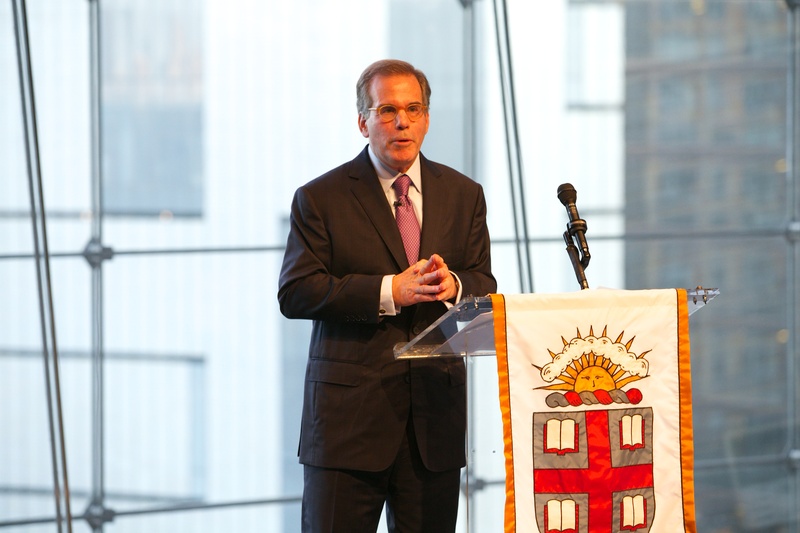 The $25 million gift to launch the center came last January from Jonathan M. Nelson, a 1977 Brown undergraduate alumnus and founder and CEO of Providence Equity Partners. To celebrate Nelson’s gift, a group of pre-eminent entrepreneurs from the Brown community and beyond convened in New York in September, shortly after Warshay joined the University as the center’s executive director. At an event in New York celebrating the center's launch, Jonathan Nelson spoke about the vision for Brown's interdisciplinary center for entrepreneurship education and research. A veteran entrepreneur and educator, Warshay has taught at Brown and at Tel Aviv University for years. Much of the center’s early focus, he said, has been on developing a broad array of opportunities designed to educate and empower aspiring entrepreneurs and to pique the interest of students, faculty and members of the greater Brown community with no prior exposure to entrepreneurship. Creating new courses for students across the disciplines to gain a rigorous academic grounding in the fundamentals of entrepreneurship will play an important role in that process. 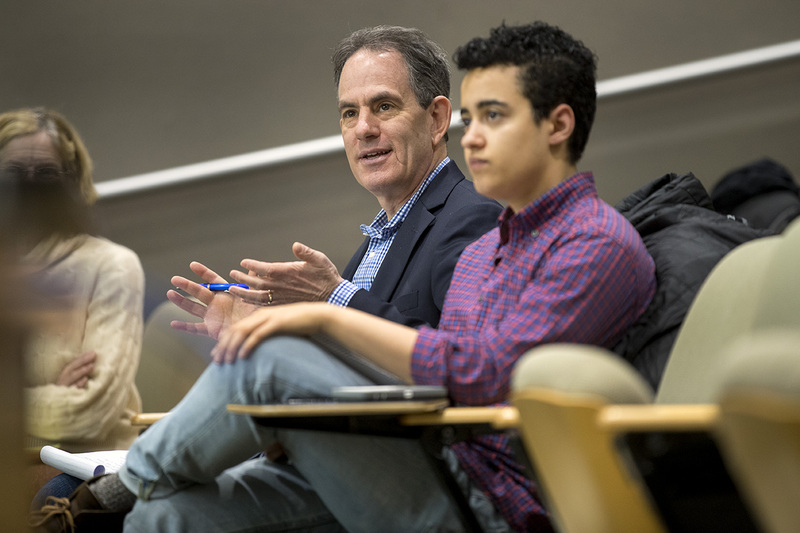 With funds from Jonathan Nelson’s gift, searches for full-time faculty whose primary expertise is in entrepreneurship are underway in Brown’s sociology and economics departments. Over time, the center will hire visiting professors, entrepreneurs-in-residence and professors of the practice to complement the efforts of full-time faculty to integrate entrepreneurship into the Brown curriculum. Mary Fennell — a professor of sociology and of health services, policy and practice who directs the BEO concentration — helped to develop the original proposal for a campus entrepreneurship center at Brown. She said that through a combination of curriculum-based work and outside-the-classroom programming, the new center will help existing programs to encourage students to both master the basics on launching new ideas and new firms and to push past those foundational skills. She said that in serving as the connective tissue across campus and beyond, the Nelson Center for Entrepreneurship will have a significant impact on creating an identity for entrepreneurship that is recognizable, exciting and builds on the Brown’s strengths in pushing past the traditional boundaries that divide disparate fields of study. Jason Harry, an associate professor of the practice of engineering, teaches “The Entrepreneurial Process” and has directed the immersive summer Breakthrough Lab (B-Lab) venture development program. Previously, there were few accessible resources for students who had completed either experience and wanted to continue working on their enterprise. The creation of the new center addresses that gap, he said. An expanded range of courses will offer new opportunities to meet what he sees as significant demand for entrepreneurial skills among Brown’s student body. The center will also serve as a hub for student entrepreneurial organizations. The student-run Brown Entrepreneurship Program, for example, has created an array of activities on campus to inspire interest and educate those interested in entrepreneurial careers for nearly two decades. Separately, the B-Lab offers immersive summer experiences in entrepreneurship and will be operated through the center. Among the new initiatives the Nelson Center for Entrepreneurship has launched this fall is a team of five Peer Entrepreneurs-in-Residence (or PEIRS) — students who bring real-world experiences and lessons learned and advise peers looking for practical guidance on ideas, projects and ventures along with how best to jump into the entrepreneurial community at Brown. Morgan Cheatham, a senior neuroeconomics concentrator and PEIR, recently launched Lasso Investing, a financial technology startup that builds investments through crowdsourcing. Cheatham says the center’s open approach and desire to infiltrate every academic field of study offers a distinctively Brown approach to entrepreneurship that is unparalleled at other institutions. Another PEIR, senior history concentrator Daniel Breyer, has worked at a Silicon Valley venture capital firm for three years, sourcing investments and directing web and social media projects. After two months spent advising prospective entrepreneurs on fundraising, venture capital and other startup challenges, he says the new center’s value to students comes in its role as a focal point for all things entrepreneurial at Brown. For the 2016-17 academic year, the center is operating out of a third-floor suite at Brown-RISD Hillel. Planning for a permanent facility — with classrooms, offices for PEIRs and staff and dedicated workspace for students and faculty to collaborate on developing new ventures — is underway. Reporting to Brown Provost Richard M. Locke, Warshay leads a staff that this fall added Jonas Clark, an entrepreneur and former resident dean at Harvard, and Liz Malone, a program manager who has managed existing entrepreneurial initiatives at Brown, including B-Lab. not only launching ventures and inspiring careers, but amplifying Brown’s ability to bring together expertise and perspectives to advance knowledge, solve big problems and serve the greater good.